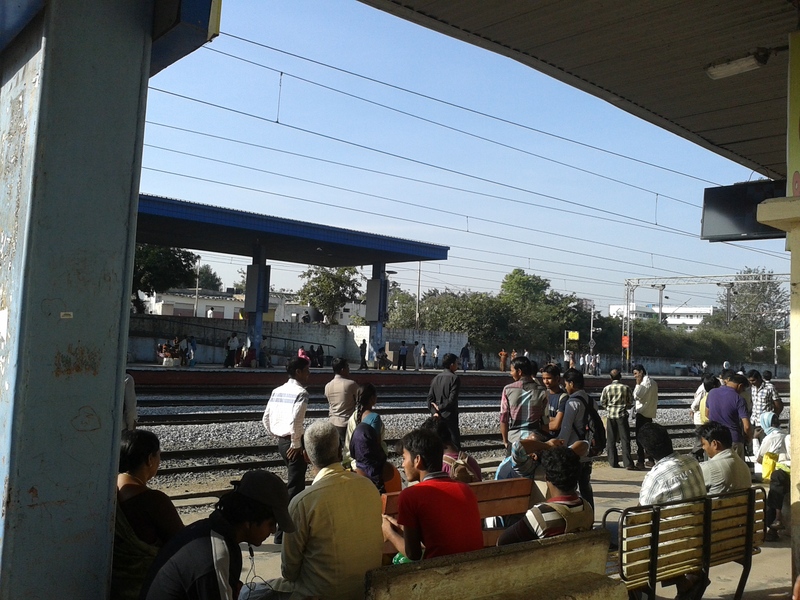 A MMTS train station, Hyderabad. 2 weeks ago, I saw a woman with a goat on the MMTS train in Hyderabad. This post is about why I got agitated on that trip, which was delayed for 30 minutes. Can’t believe that some years ago, I peacefully sat in a waiting room for 16 hours for a 24-hour journey. Another time, my train stopped 25 kms from my destination. And stayed there for 4 hours. I could have walked home! Immediately whipping out cellphones and tinkering with them. Getting irritated and behaving rudely with others. Moving around as if the movement itself will quicken things around. And here, stuck in this train, I was feeling agitated, standing for just half hour! Seems like I have finally succumbed to the disease of hurry-sickness. I want everything quickly – hurry hurry hurry! Which is leading to an increase in expectations. Not just on the same mediums. I have started expecting the same behaviour of quick responses from everything. Irrespective of whether it is really urgent or not. Or whether it is even possible or not. Like me, have you started feeling the constant urge to hurry where it doesn’t make sense in retrospect? Next Post What is reality? A sign of our age and it does not speak well for us! Thanks Bindu masi. Yes, and I hope the hurry behaviour doesn’t become a norm instead of the exception in the coming times. Thanks masi. I guess all of us are getting affected some way or the other.